[President/CEO Garry] McGuire would not confirm a specific San Francisco location. Given the planned size, however, the venue likely would require a more spacious footprint in such areas as the Presidio, parts of SoMa or the waterfront. So what about those financial "problems," you ask? The bold expansion comes as Copia's finances face increased scrutiny. Despite a founding gift in 1996 of $20 million from Mondavi, the center has consistently lost money since its 2001 opening. Even with those lagging finances, the state-owned Infrastructure and Economic Development Bank floated a $78 million bond refinancing to help keep the center solvent ... "We could either reach out and service more people in a different place," he said, "or we could shrink the footprint." While it's admirable that Copia is trying to do something to fix seven years of flop in Napa, we're not so sure that expanding is the way to ameliorate the problem. 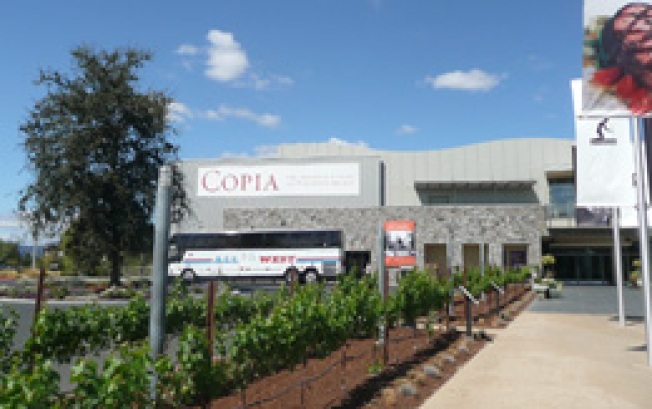 After all, if being four blocks away from downtown Napa was such a hindrance to success, they'd better hope that their San Francisco location is a good, central one with easy tourist access because if Copia couldn't work in Napa in all places, why would it work in say, the Presidio? In any scenario, it's quite the curious move given the finances involved. Quite. curious. We're curious to hear your thoughts: would you welcome Copia here? And for those who like to make predictions: will it actually work here?